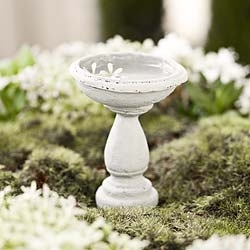 Mini Birdbath With Aged and Detailed Look For Miniature Fairy Garden Store Gardens. #00950. 2.5”h (w/out pick) x 2”dia.